Integrated Flow Solution’s Product Support Department is proud to offer a Field Maintenance Services Contract to our customers. Our services are often offered in lieu of extended warranty periods to provide continued support from experienced technicians familiar with our systems and their operations. Our Field Technicians are supported by our Engineering Departments, 24-hour Product Support Department, Parts Department and expedited services of our vendors. 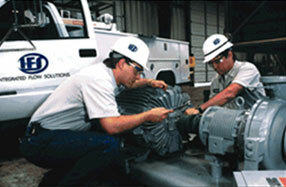 Service technicians are factory trained and travel worldwide to provide commissioning, start-up and routine maintenance. IFS’s experience and support of these systems make these services worthwhile for our customers. Ludeca/Pruftechnik Vib Expert 2 Analyzer with balancing capabilities. 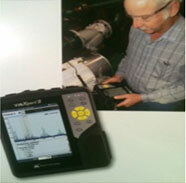 Omnitrend Data Base for Vibration Analysis and Condition Monitoring. 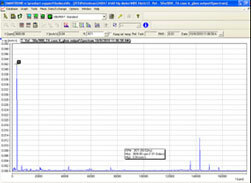 Vibration data will be entered into our Omnitrend data base. Alarm levels and equipment routes will be established for future analysis that will immediately identify areas of concern. Fan, blower and pump balancing can also be accomplished if needed. 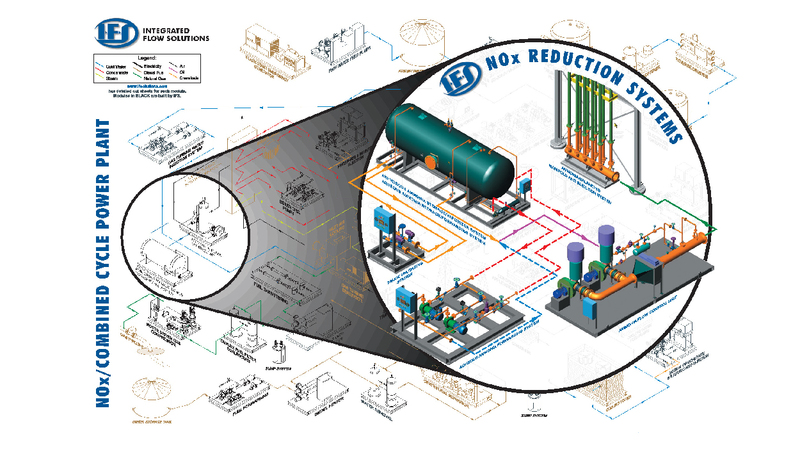 Existing equipment can be hot aligned using our laser alignment tool for optimal operation. Alignment data can be recorded and printed for future reference. All electrical panels and connections will be scanned with a thermal camera for evidence of hot spots. 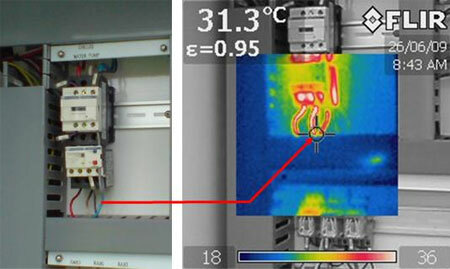 Hot spots indicate a bad component or connection that could lead to equipment failure. An overall inspection of all major equipment will be performed including all pumps, blowers, heaters and associated instrumentation. Performance data will be compared to original specifications to ensure components are functioning as designed. Under an Ongoing Maintenance Services Contract, IFS will assist your plant personnel in developing Startup/Shutdown Procedures. Operating conditions will be specified under normal and emergency situations. Technicians will also assist in the creation of maintenance schedules. Items requiring re-calibration will be identified on the instrument list and set up to identify future calibration due dates.